Outspoken Doncaster TV host Jeremy Clarkson and a reporter who began his career at the Doncaster Free Press have both been named on a list of the UK’s most respected journalists. The former Top Gear star, who writes for The Sun and The Sunday Times, was one of 238 journalists named in the rundown by the NCTJ – The National Council for the Training of Journalists. Doncaster's Jeremy Clarkson has been named as one of Britain's most respected journalists. Meanwhile, The Sun’s head of content, Steve Kennedy, who began his career as a trainee reporter at the Doncaster Free Press in the 90s, was also named on the list. Mr Kennedy was appointed as the tabloid’s head of content in 2014 but began his career at Doncaster in the early 90s before joining the Newcastle Evening Chronicle and then moving into national newspapers. Journalists were asked to pick who they most respect in the media as part of the NCTJ’s Journalists at Work 2018 survey, which was carried out earlier this year. Clarkson spent his early years growing up in Doncaster and lived in Burghwallis. Born to teacher Shirley Gabrielle Clarkson and travelling salesman Edward Grenville Clarkson, the couple, who ran a business selling tea cosies, put their son’s name down in advance for private schools with no idea how they were going to pay the fees. 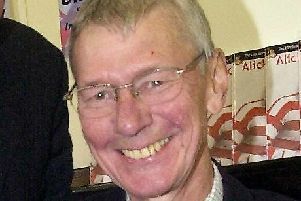 His first job was as a travelling salesman for his parents’ business selling the Paddington Bear toys and later trained as a journalist with the Rotherham Advertiser, before also writing for the Rochdale Observer, Wolverhampton Express and Star, Lincolnshire Life, Shropshire Star and Associated Kent Newspapers. He went on to set up his own motoring press agency. Clarkson’s first TV role came in 1988 when he first appeared on Top Gear and since, the Burghwallis born host has become a household name along with colleagues James May and Richard Hammond, making waves around the world with his outspoken views.